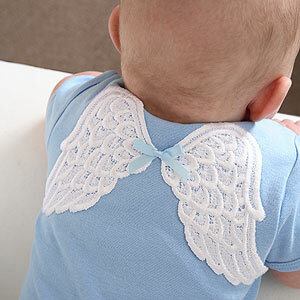 Light Blue baby t-shirt with angel wings. You already know your child is an angel, now let everyone else know with the Angel Baby T-Shirt. These Baby T-shirts come as a great gift for Daddy, Mommy, or Grandma's little angel. Perfect for all occasions these Angel Baby T-Shirts are simply adorable. The Angel Baby T-Shirt is made with 100% cotton in the U.S.